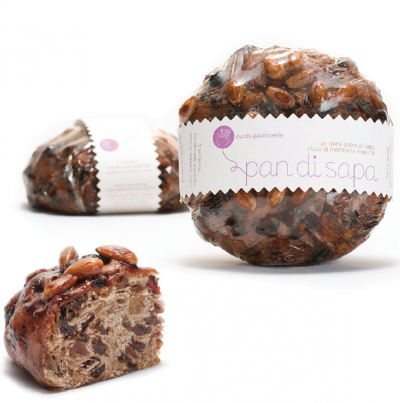 Born from sapa, the must cooked and thickened, enriched with almonds, candied orange peel and raisins. It's like a small sweet bread with a delicate flavor, flavored with cinnamon. It serves in small portions, and goes perfectly with Vernaccia and Malvasia. Sultanas, 00 flour, orange zest, Marsala wine, almonds, butter, sugar, apricot jam, cocoa, dry yeast (yeast), cinnamon and salt.